When it comes to buying any property in France, you need good advice and the help of a professional agent to guide you through the various challenges ahead. This is vital in the case of the luxury or prestige market, as the costs of getting it wrong where if you get it wrong can be extremely high. 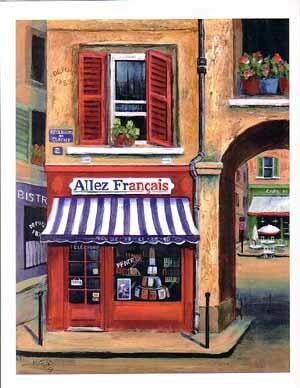 Allez-Français have been selling houses in South West France since the start of 2002. In fact, the very first house sold by the agency was a large Maison de Maître formerly owned by a French rock star. 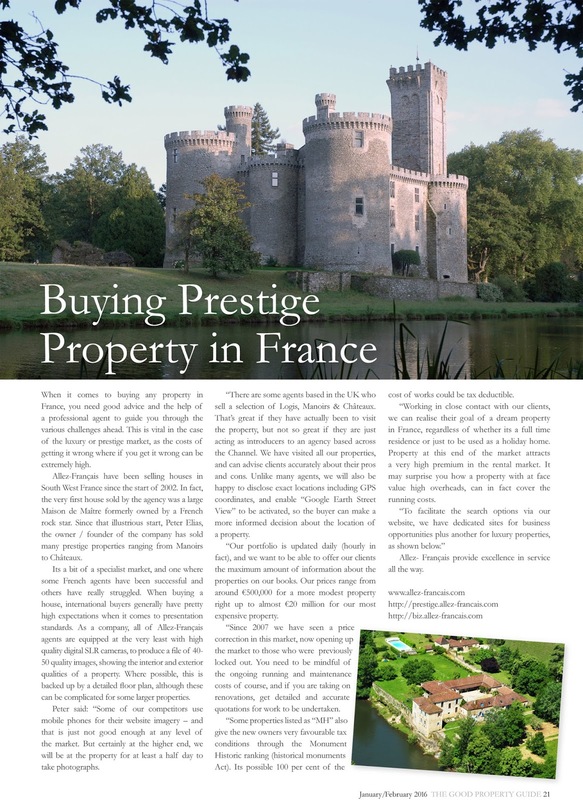 Since that illustrious start, Peter Elias, the owner / founder of the company has sold many prestige properties ranging from Manoirs to Châteaux. Its a bit of a specialist market, and one where some French agents have been successful and others have really struggled. When buying a house, international buyers generally have pretty high expectations when it comes to presentation standards. As a company, all of Allez-Français agents are equipped at the very least with high quality digital SLR cameras, to produce a file of 40- 50 quality images, showing the interior and exterior qualities of a property. Where possible, this is backed up by a detailed floor plan, although these can be complicated for some larger properties. Peter said: “Some of our competitors use mobile phones for their website imagery – and that is just not good enough at any level of the market. But certainly at the higher end, we will be at the property for at least a half day to take photographs. “There are some agents based in the UK who sell a selection of Logis, Manoirs & Châteaux. That’s great if they have actually been to visit the property, but not so great if they are just acting as introducers to an agency based across the Channel. We have visited all our properties, and can advise clients accurately about their pros and cons. Unlike many agents, we will also be happy to disclose exact locations including GPS coordinates, and enable “Google Earth Street View” to be activated, so the buyer can make a more informed decision about the location of a property. “Our portfolio is updated daily (hourly in fact), and we want to be able to offer our clients the maximum amount of information about the properties on our books. Our prices range from around €500,000 for a more modest property right up to almost €20 million for our most expensive property. “Since 2007 we have seen a price correction in this market, now opening up the market to those who were previously locked out. You need to be mindful of the ongoing running and maintenance costs of course, and if you are taking on renovations, get detailed and accurate quotations for work to be undertaken. “Some properties listed as “MH” also give the new owners very favourable tax conditions through the Monument Historic ranking (historical monuments Act). Its possible 100 per cent of the cost of works could be tax deductible. “Working in close contact with our clients, we can realise their goal of a dream property in France, regardless of whether its a full time residence or just to be used as a holiday home. Property at this end of the market attracts a very high premium in the rental market. It may surprise you how a property with at face value high overheads, can in fact cover the running costs. Allez- Français provide excellence in service all the way.